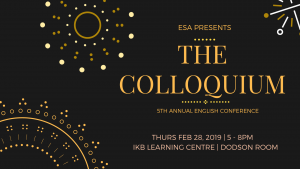 The English Students’ Association is excited to present their fifth annual Colloquium! 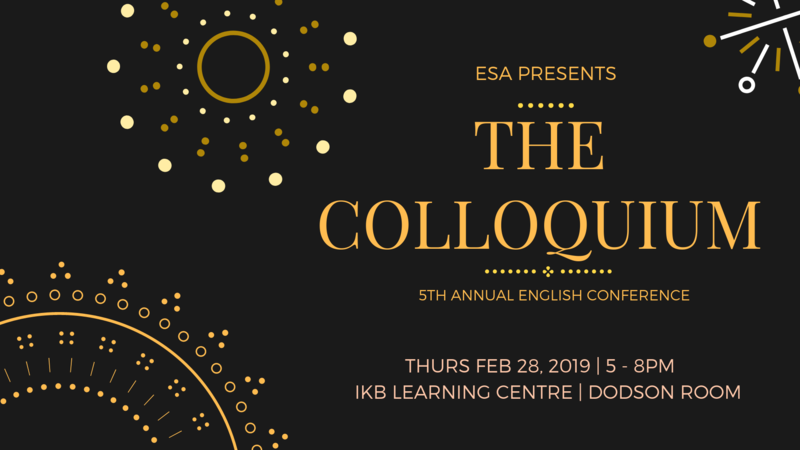 This conference features presentations from UBC English undergraduates and faculty, as well as a brief presentation on working in the publishing industry, from the perspective of a UBC Co-op student. It provides a great opportunity for those in the Department of English Language & Literatures to share their work and research.